With the arrival of spring, weather is warming up and tom turkeys are gobbling. It’s a tough time for a deer hunter to actually think about deer hunting. For many hunters, it’s almost a time to reset the deer brain before the anticipation builds to next season. For others, spring food plots are being planted and new deer-management strategies planned. What many might not be thinking about is scouting for deer. Sound crazy with the season being so far away? 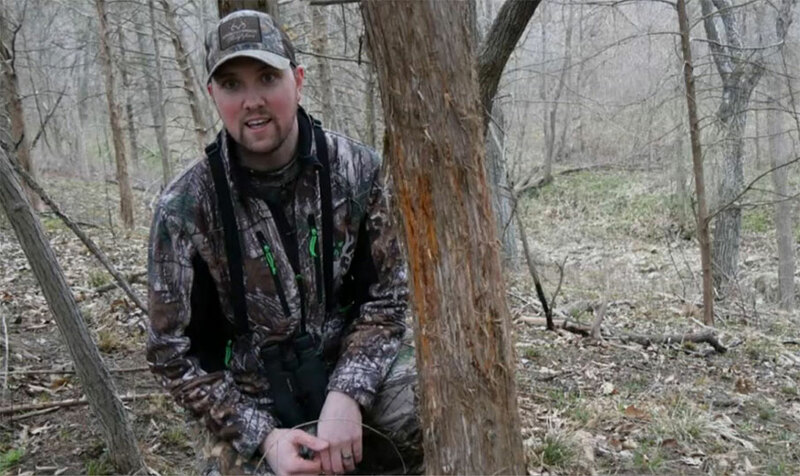 When in the woods – scouting or hunting turkeys – why not be thinking about deer, too? The early spring is a great time to be thinking about the fall deer season. Not only because it’s the most optimal time to find deer sheds, but in many areas, the woods are at their bare bones. This allows hunters to really see the structure and topography of the land, and especially deer sign. It’s also about the only time of the year I really bust into known bedding areas in search of more information about deer I am hunting, without caring if a spook them or not. As a dedicated turkey hunter, I walk miles and miles in the spring. Although my ears are always straining for the next gobble, my eyes are looking for a new treestand locations next to bedding areas. Time is sparse in today’s busy lives, so take full advantage of every time you hit the woods.